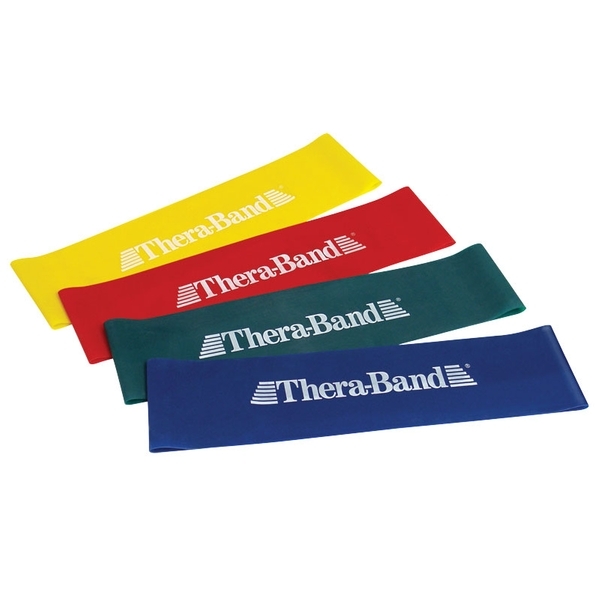 Thera-Band® Band Loops Introducing the first band loop to contain the Thera-Band logo and brand recognition, to hold the APTA endorsement, and to contain the same pull forces and progression as the Thera-Band latex resistance bands. Ideal for: Lower extremity Shoulder Neck Core Back applications The loops are available in four resistance levels. These bands are noticeably higher quality than most generics. 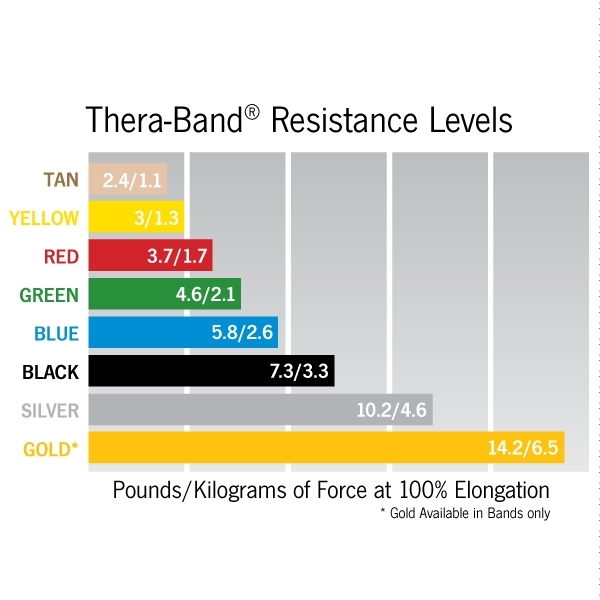 I&apos;ve used Thera-Band for years and are the only brand of resistance products I will buy. These bands are weak and will roll over into a thin strap under resistance. This thin strap then digs into your skin. Not recommended for closed chain exercises especially for legs. These items are a really good deal.